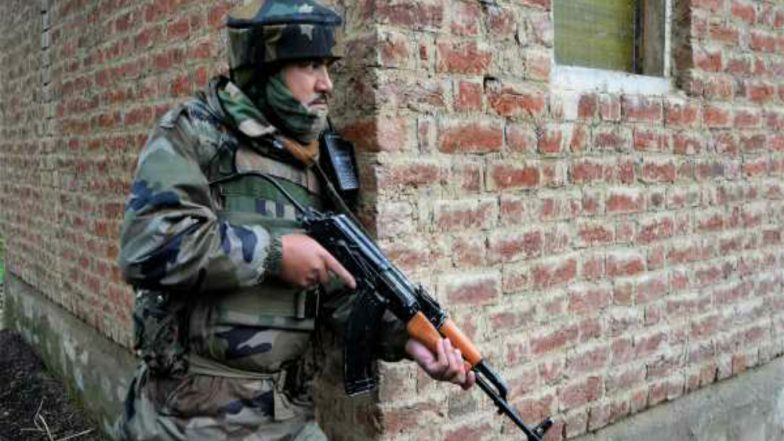 Srinagar, April 13: Two militants were killed on Saturday in a gunfight with the security forces in Jammu and Kashmir's Shopian district, police said. "Following a brief shoot out in the orchard area of Gahand village the two militants were killed. Their exact identities and affiliations are being ascertained," an officer said. Jammu And Kashmir: Militants Kill Indian Army Jawan in Wadpora Area of Baramulla.